What were the main problems and issues you experienced as a result of your condition and what treatments were available to you? No problems but looking after yourself takes time and that is something I do not have a lot of. I am travelling the world constantly and I need the simplest bladder emptying system that also ensures that I am not susceptible to bladder infections etc. When aged 39 and after using a urine bag for 23 years, I started to experience recurrent bladder infections particularly after wheelchair basketball training. I had a large residual in my bladder which was not getting flushed out this was proving a pain in the neck!! If I had any doubts about having the op these were dispelled when my wife and I met with Professor Brindley (the inventor of the system) the evening before the operation. What a man, maybe viewed by some as a wacky professor but for me the man who changed my life and gave me incredible independence of action anywhere in the world. His invention (s) should be recognised as one of Britain’s best. Since the op done in late 1990 I have only had one UTI. The system has operated perfectly and I have not worn a urine bag since 1990 except when on an intercontinental flight, not because of the Finetech-Brindley system but because of the total inaccessibility of toilets on planes! This system has had a major liberating factor on my life, that of my wife, children and grandson. Additionally it has permitted me to be away from home, on average 210 days a year. Without the Finetech-Brindley system I would have had to work from home and Presidents should not do that. They have to get around the world to meet their members and to attend the Paralympic Games and many other international sports competitions. Sir Philip Craven enjoying a game of wheelchair basketballDo you still play basketball? I retired from the GB team in Seoul in 1988 but still played at the highest club level until 1997 winning with Sheffield Steelers the European Champions Cup in 1994 (the only time a British club team has won the Cup in its 35 years history) This was after over three years experience with the Finetech-Brindley system. I continue to play wheelchair basketball for Stoke Spitfires when my travel schedule permits. 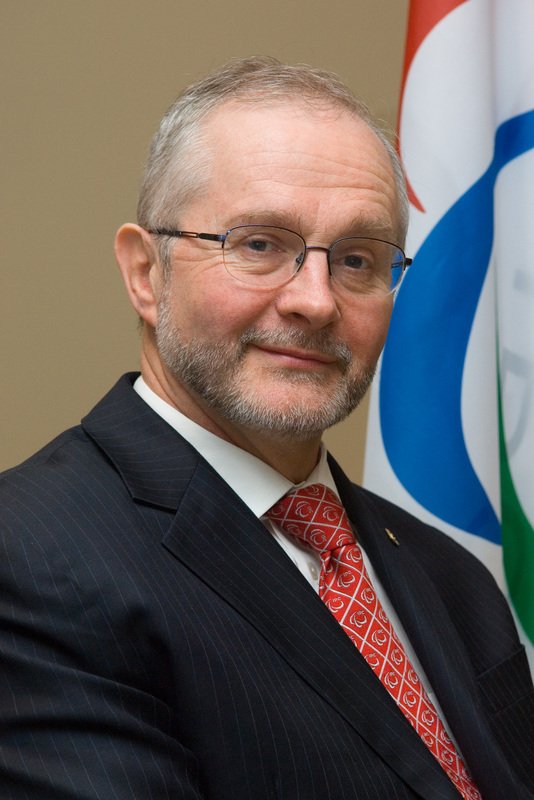 Sir Philip Craven MBE was born in 1950. Sir Philip is a former GB international wheelchair basketball player and is currently President of the International Paralympic Committee (2001-2013) and was President of the International Wheelchair basketball Federation (1988-2002).